If you’re not yet familiar with the term, SDGs are the global sustainable development goals formulated by world leaders at the United Nations Sustainable Development Summit in 2015 which are to be achieved by 2030. One of the goals in SDGs aims to preserve the earth and its environment; namely life below water (SDG 14) and on land (SDG 15). To make these goals a reality, we require collaboration, teamwork, and sharing across institutions that demonstrate similar concerns. GROUND Asia too aims to achieve these goals by providing several environmental programs for both high school and university students. 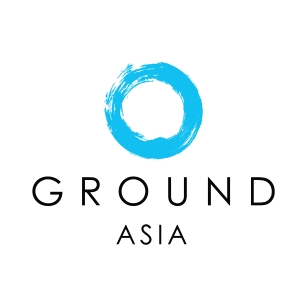 At the same time, GROUND Asia collaborates with local organizations while involving youth from all around the world through hands-on participation. In Indonesia, environmental conservation and preservation activities are critically needed. Recent research shows Indonesia is the second biggest country contributor to marine plastic debris and 1.29 million tons of plastic has ended up in Indonesia’s ocean. Therefore, GROUND Asia works with various local organizations and provides an environmental program in Indonesia to contribute in tackling environmental challenges. Our environmental programs invite participants to develop an understanding of environmental challenges and the influence of local culture on ecological sustainability. During our wildlife conservation program in Bali for example, we take students to the final disposal facility for both households and tourism industries. This final disposal facility is located on the beach and instantly turns into mountains of trash. At this location, students can witness the impact of mass tourism on ecological sustainability, not only for life on land but also life below the water. During the program, students will also be able to directly tackle environmental issues by connecting with local organizations focusing on several environmental aspects, learning their initiatives, and exchanging ideas for best practices. Then, students are invited to do hands on activities with various communities like rehabilitating wildlife habitat, restoring coral reefs, completing creative actions in waste management, and enhancing common environmental awareness through community sharing session. GROUND Asia’s wildlife conservation program in Indonesia also equips students with replicative ecological abilities where students are skilled to implement the knowledge in their hometowns and maintain the green action. For example, students learn on turning plastic into ‘treasure’ by making it as a household furniture. Students surely can do it too back home! If you haven’t yet booked your students’ travel program to Indonesia, check out our school and university trips and get in contact with us.